YouTube has 1.5 billion of visitors monthly who spend a billion hours daily watching videos. This is a huge audience of engaged individuals, so it is not surprising that advertisers pay close attention to the platform. Since there are many details to be aware of, let’s discuss the basics of a typical PPC campaign. There are three advertising formats available, namely TrueView in-stream ads, TrueView discovery ads, and bumper ads. In-stream format is an ad that can be seen in YouTube videos and on the Google Display Network (GDN), both on websites and apps. The “Skip” button appears in 5 seconds so that the user can stop watching the ad. You pay when a user views your ad for 30 seconds. The discovery ad is a fragment of your video ad with an accompanying text. 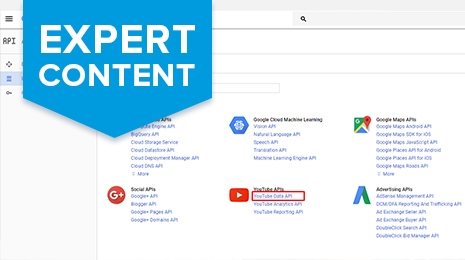 The ad can appear in YouTube search results, in a list of recommended videos, on the YouTube homepage, as an overlay on the video watch page, on partner websites, and apps that are the part of the GDN. Users click on your ad and are redirected to one of YouTube videos or a YouTube channel. You pay only when a user starts watching your ad. A bumper ad is a 6-second video ad that cannot be skipped. Advertising is shown only on mobile devices. You pay per thousand of views. We recommend creating separate campaigns for every type of targeting and establish a separate group for in-stream and discovery ads in every campaign. This will provide you with greater flexibility in campaign management. You can limit a daily budget for each of them, redistribute budgets between the campaigns, and more. And also you will be able to assess the effectiveness of every type of targeting. Using the entire range of targeting will maximize your target audience. Although different types of targeting work with different efficiency, do not ignore any of them when creating your advertising campaigns. 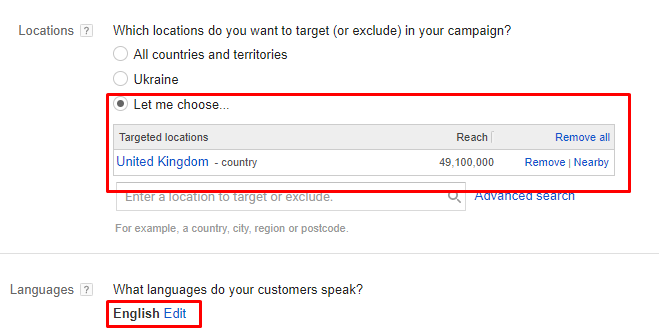 Specify your campaign type (video), type of targeting (keywords), and region in which your ad is displayed (UK). 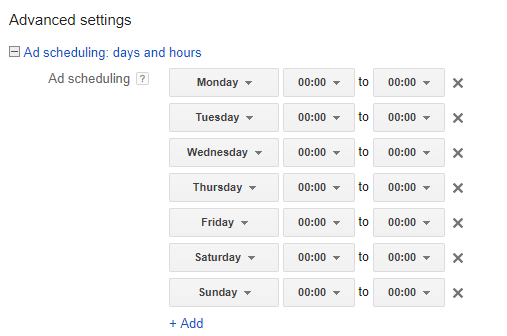 This will help you search through your AdWords campaigns and monitor them in Analytics. 2. Budget and delivery method. At the beginning, you should not immediately select the accelerated display method. It is recommended to set the standard one first. Your video ads will appear evenly over time, and the system will work without the need to spend your daily budget as quickly as possible. Later, it makes sense to try the accelerated method if one of your advertising campaigns does not spend its budget. “YouTube Search” implies showing display advertising in search results. Without enabling a “YouTube Videos” option, video advertising does not make sense, as this excludes the display of in-stream and display campaigns in videos. So, include the first 2 options. We recommend you to disable the “Video partners on the Display Network” at the start of your advertising campaign. This option provides greater coverage for your videos by displaying them on third-party websites and applications. Coverage increases significantly, but the quality of traffic is usually low. You can include this option later if required. Select a targeted location and language. 5. Devices and operating systems. You can specify operating system, mobile devices, as well as mobile operators and Wi-Fi. This option is quite useful. For example: if you advertise an accessory store for Apple mobile phones, it makes sense to target the users of Apple phones, but remember that when you specify devices or mobile operators, this automatically excludes the display of advertising on desktop computers and tablets. It is worth applying this option if you have a clear understanding of your target audience. For example, if they are students, it makes sense to set the display on weekday evenings after classes. Set the number of impressions shown to the same user. If there are no special requirements, we set 6 impressions per month, which is a median value. In the example below, we set a number of impressions per day. 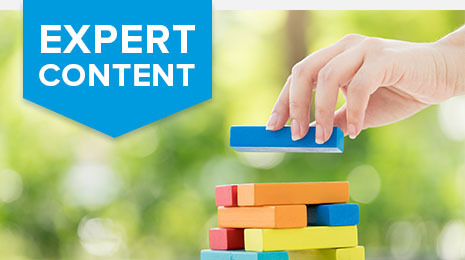 It is necessary to exclude certain types of content to target your audience. Choose the type of video content where you do not want to show ads. Do not immediately stop displaying the content, as this will significantly reduce the reach. It makes sense to limit the display, based on the preferences of your target audience. Think about in what kinds of videos your ads would be inappropriate. If there are no special preferences, then it is enough to enable a standard content filter. Considering your account structure, you will have 2 ad groups in every individual campaign: in-stream and discovery. Enter the name of an ad group and insert a link to the ad in the “Your YouTube video” field. This banner will be displayed on the right of the video itself. If you do not select bumpers, then an automatic image based on the video from your channel will be used. If you select a discovery format option, specify a headline and two description lines, and select a video thumbnail from the suggested ones. Initially, it’s correct to set a cost per view higher than the one recommended by Google itself. This is required to “disperse” the advertising campaign. And during work, it will be necessary to gradually lower the rate. The aforementioned guidelines will help you create a typical Google Adwords video advertising campaign on YouTube. Then, you need to set up correct targeting and analytics. 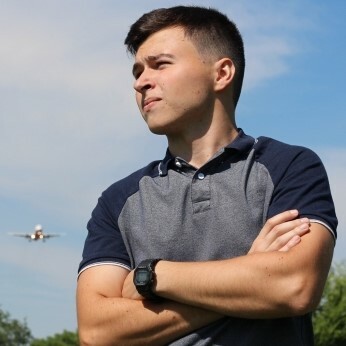 In the following blog post, I will explain how to do different kinds of targeting and why it makes sense to use scripts when running your advertising campaigns on YouTube. Meanwhile, check out how to create and optimize your YouTube channel and what techniques will help you optimize YouTube videos.